USB Storage There are 3 products. Whether your employees need a fast and convenient way to keep that presentation on hand, or you just want to reward your top clients, go with a laser-engraved USB storage device from Sutter’s Mill Specialties. 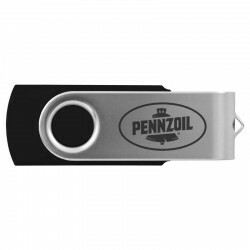 We have personalized swivel flash drives in multiple storage sizes, from 4 gigs all the way up to 8 gigs. Looking for something really cool? 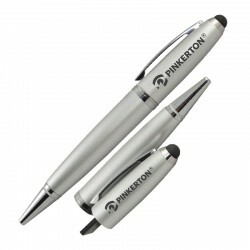 Check out our custom-branded USB pen and stylus. These high-tech thumb drives will keep your files safe – and your company’s reputation solid. 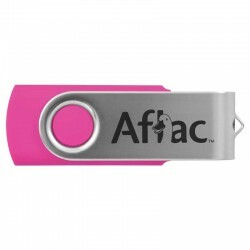 This personalized promotional USB thumb drive provides a safe and secure way to store and transfer up to 4 gigabytes of data. This personalized and colorful promotional USB thumb drive provides a safe and secure way to store and transfer up to 8 gigabytes of data. This multi-function pen is designed for today’s high-tech world, with an 8 GB flash drive, touchscreen stylus, and twist-action ballpoint tip.